I would like to introduce you to my church Park City Baptist Church. I started going to this church when I was young until I became an adult. I began attending another church near where I live, but it never really felt like home to me. Once in awhile, I would visit and I would feel like I was at home again. I moved down the road from the Church and now I go whenever I can. I deal with being sick a lot, but I so thankful for the fellowship I have with the members of the church. So, feel free to stop by and say hi! Additionally, meet some wonderful people who also attend our church. We are located at 7410 Park City Dr. On the Westside of Jacksonville, Florida. We are a small yet loving church that welcomes everyone with open arms and hearts. We have sermons during Sunday morning services and bible studies (open discussion) Sunday night, as well as Wednesday night. 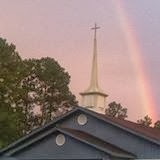 We are Bible based church, who helps the community around us with our events and fellowship. Check out our website for more information and a map. We also have a Spanish ministry called Park City Ministries. Take a moment to look on the website for their location and a map. To learn more about our church, please visit our website.